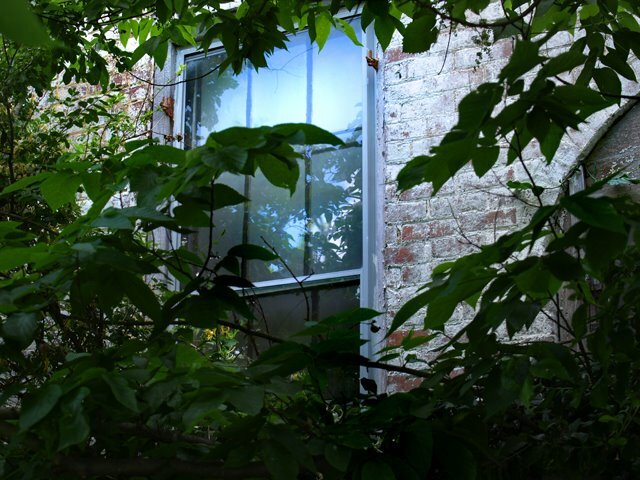 LIVING ON THE OTHER SIDE OF THE HILL | This site is about a Southern Lady, her family, her interests, and writings. 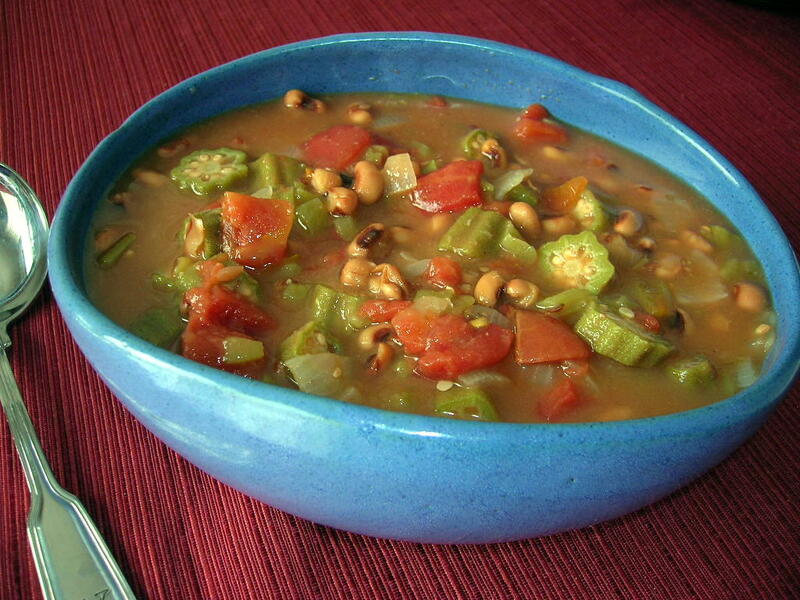 You can now follow my cooking website, The Southern Lady Cooks, on facebook! 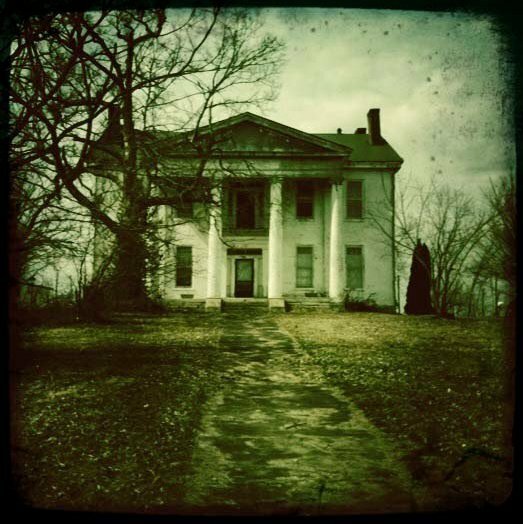 My son did a blog post on this old Southern mansion that sits right in the heart of Danville, Ky. and played a part in his childhood. When he was about six weeks old I hired an elderly lady that had moved to Danville from Eastern Kentucky to babysit him. Her husband had died with Black Lung disease and she was living in a senior housing area. She had a daughter and son-in-law that lived near her. The daughter, Helen, could not have children and immediately fell in love with Rob. Helen would come to her mom’s everyday to play with Rob and take care of him. Eventually, Helen became the babysitter and I was taking Rob to their place. 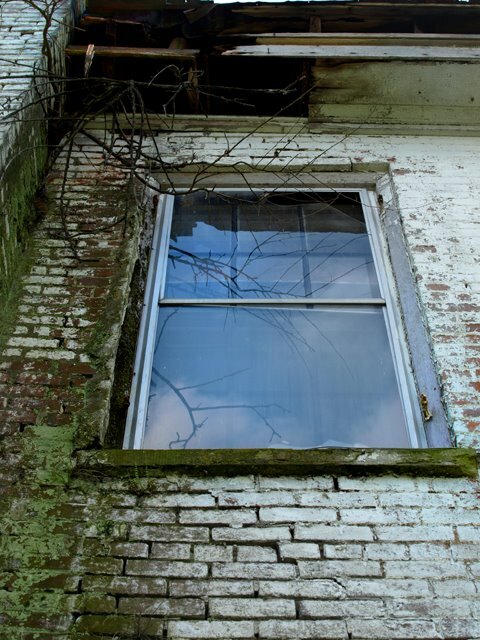 They moved in later years to an apartment in this old house. It was just a 3 room apartment but it was huge. The rooms had such tall ceilings and were as big as 2 normal rooms today. This house was amazing in its heyday! I am copying his post below about this mansion. Today, Rob is a husband, father, photographer, artist, actor, and works for the Kentucky Educational Television Station in Lexington, Kentucky. You can visit his artwork here. He also has an online journal here. 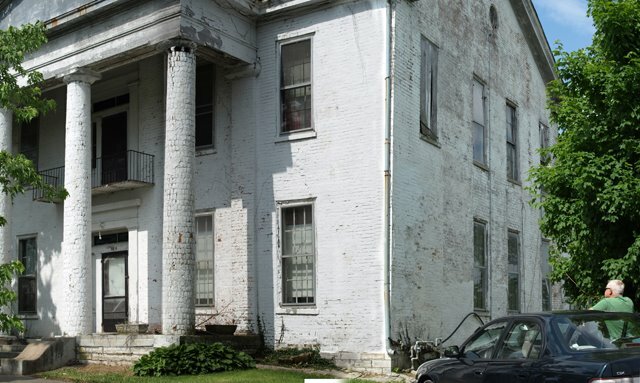 In William Least Heat Moon’s classic travel book Blue Highways, the author writes at the beginning of Chapter 13 that the highway took him through Danville Ky. where he saw a pillared antebellum mansion with a trailer court on its front lawn. If there was ever a stronger visual metaphor for the glory of the Old South gone to seed I can’t think of what it would be… I read this book in the late nineties while living in Los Angeles and was stunned that the author was writing about a place where I had lived. My Godparents Helen and Jim Strevels rented a small one bedroom apartment in that old house on the hill that by the early seventies had been chopped up into four apartments, two upstairs and two down. Growing up there I had no idea how strange such a place would seem to someone from another part of the country. It never really sunk in that I was playing and living in a place that once housed a single family that not only owned vast tracts of land, but also, owned human beings. My Godmother once took me down into the basement to see the hand hewn limestone rocks that made up the foundation. I’ll never forget how creepy it was down there. She wasn’t helping much by telling me stories about haints, for those of you not from the south, haint is a word synonymous with ghost. 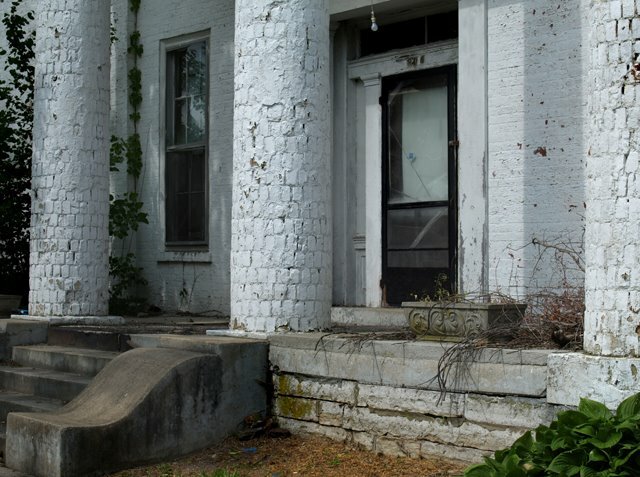 My Godmother claimed that the ghosts of slaves who had died on that plantation haunted that property, yes, she even claimed to have seen and heard them. It’s so ironic to me now that such a place ultimately evolved into a trailer park. Most of the folks living there were either the working poor or they were on some kind of relief. Sometime around the early nineties the house became so run down that it was condemned and even the trailer park that surrounded it is now all but empty of its little rectangular homes. I went back there yesterday and took some photos of the place and walked around the great ruin that it’s become. 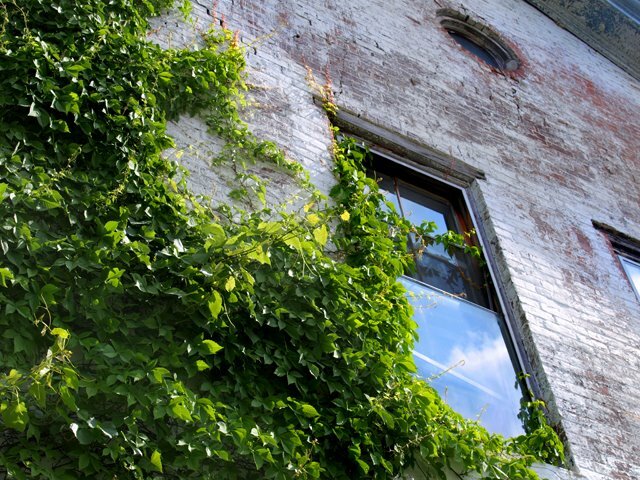 All the windows and doors were sealed and the window above had a vine that had grown between the storm window and the interior glass. 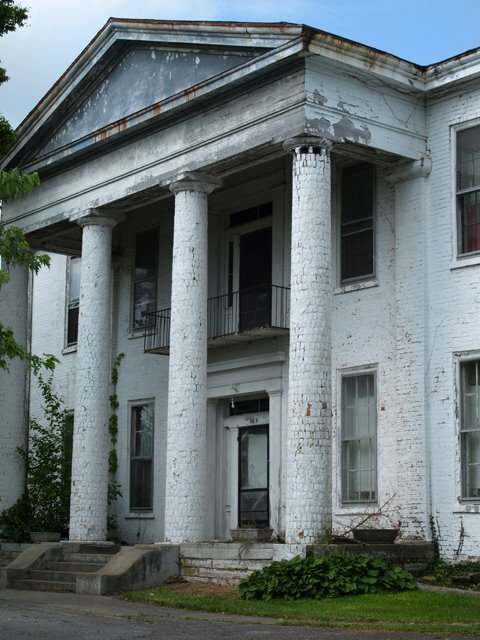 Anyone interested in seeing this old place before its demolished can find it on 408 South 4th Street in Danville Ky. 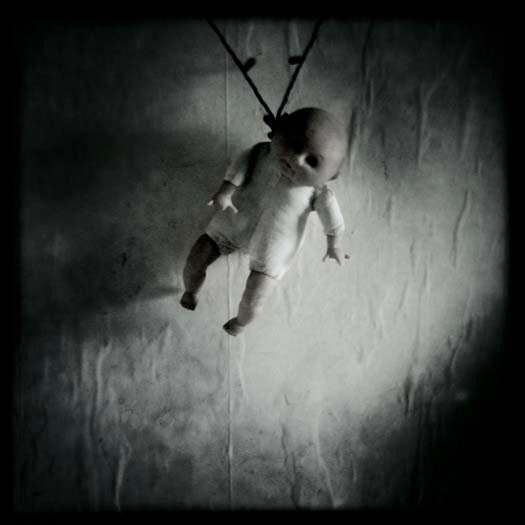 THE HOUSE OF THE HANGING DOLLS! 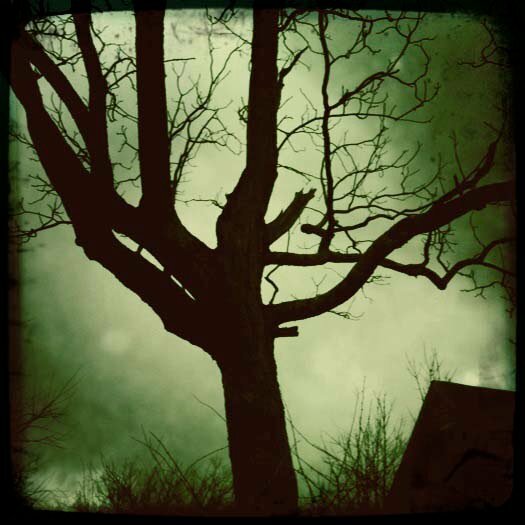 I thought since it is so close to Halloween I would post some pictures taken by my son about seven months ago. 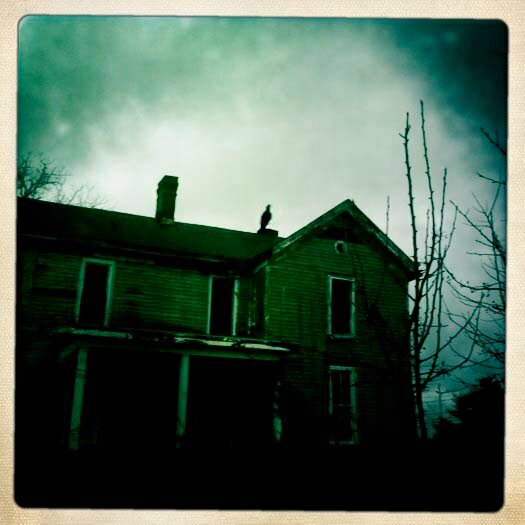 These are his words about this house in the photographs. 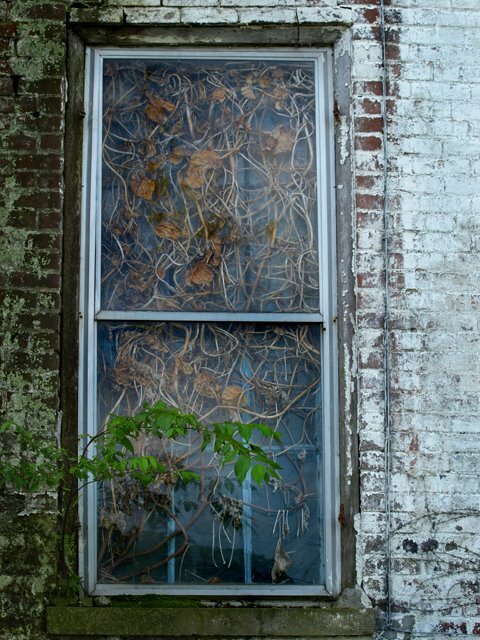 There were vines overtaking the front columns on this deserted house and vines entangled the entrance. 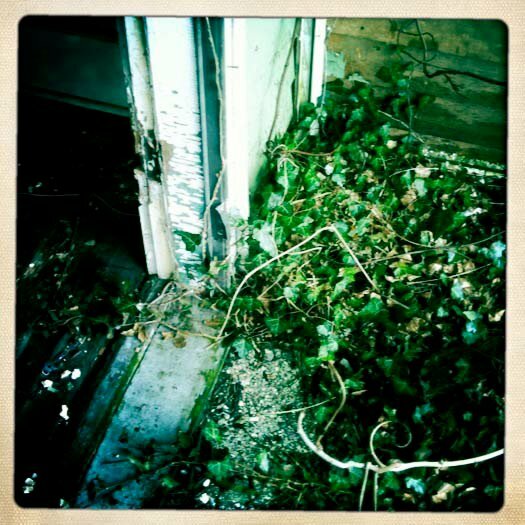 English Ivy was growing into the foyer. 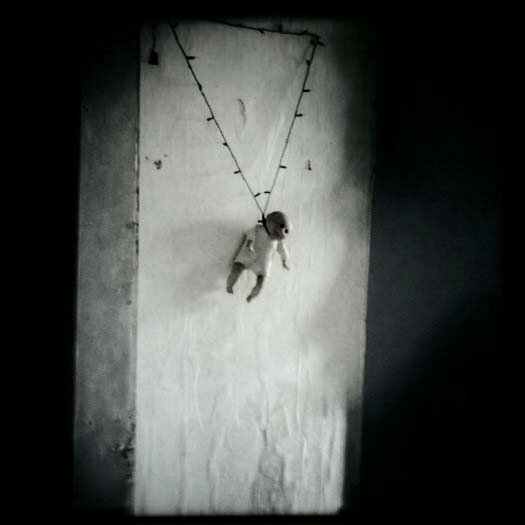 The dolls were hanging with Christmas tree lights and cords from the ruined chandelier. A turkey vulture was perched on the roof! 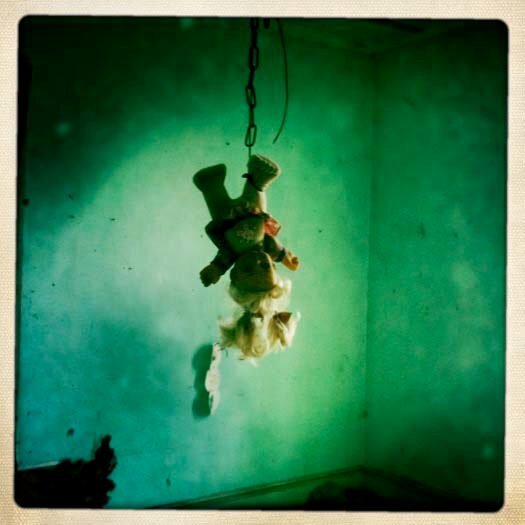 I can’t believe he was in there taking pictures……..He said the place was really scary and he did not tarry long. 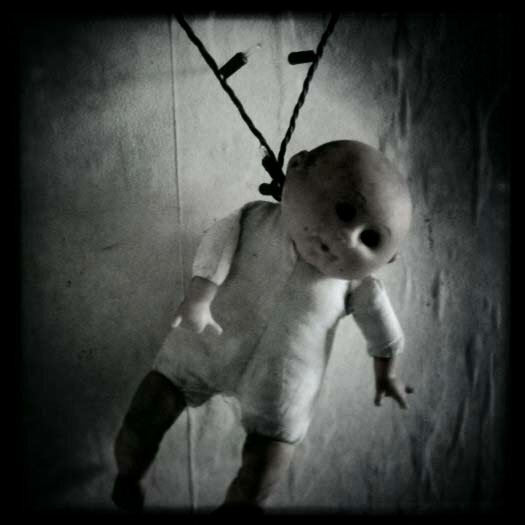 HAPPY HALLOWEEN!!!!!!!!!!!!!!!! You can view a video of this, also. Just click here. SILENT PARTNER BY KAREN JONES – A MUST READ! You all know how much I enjoy writing about Kentucky on this blog. Karen Jones loves Kentucky and loves horses. Read about her new book below! 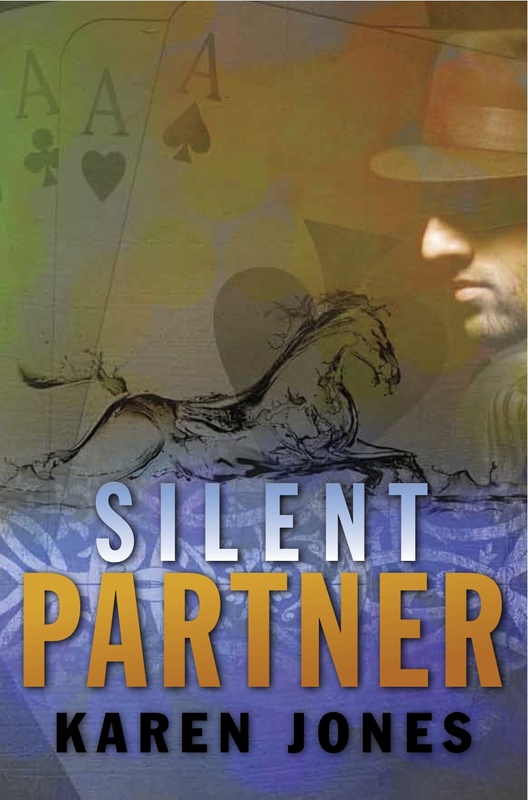 Introducing SILENT PARTNER………….Set in Lexington, Kentucky, the story takes the reader on a journey through the trials and tribulations of recovering alcoholic, Jack Ramsden, a thoroughbred horse trainer who has a special young horse in his barn. Savant, a three year old colt, is about to become the favorite to win the Kentucky Derby, a fact that has given Jack new hope to turn his life around. Jack’s life takes a surprise turn when he literally runs into a former lover, Katy Alexander. Katy is a feisty, smart, and good hearted woman with a strong determination to keep Jack at a distance. Jack finds himself totally smitten with Katy, and is equally as determined to make amends for having dumped her twenty odd years earlier, for Josephine Jackson, an ill tempered Texas heiress. Josephine made his life miserable for seventeen long years before she threw him out, and he returned to Kentucky with his best friend, Nate Washington, to pick up the pieces of his life. 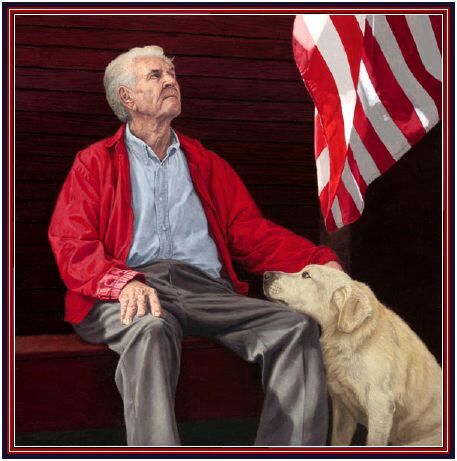 Nate, a Vietnam veteran who suffers from post traumatic stress disorder, has stood by Jack through all of the ups and downs of his life. He is the only person who will tell Jack what he needs to hear, regardless of whether Jack wants to hear it or not. Their daily life in Jack’s small training operation is punctuated by the foul mouth of an African Gray parrot, along with a lazy German Shepherd, and a stray black cat that has an obsession with the bird. Savant’s owner, Sid Blackstone, is a high roller with a big problem. He has mortgaged his Texas car empire and has entangled himself with some unsavory loan sharks, unbeknownst to his wife Bunny. A former Las Vegas showgirl, Bunny is clueless about Sid’s problems and enthralled with horse racing, which she knows virtually nothing about. When Sid disappears Bunny is thrown together with Jack to try to unravel the mystery behind the horse’s true ownership, a task that is complicated by the sudden attention of a handsome gangster named Louis Giovanni. Together, with Katy and her best friends, Todd and Lauren Hendrickson, Jack, Nate, and Bunny attempt to keep Savant running, find out who really owns him, solve a murder, and find out what happened to Sid Blackstone. The story is full of plot twists, heartfelt friendships, good guys, bad guys, and a very cool horse. This book will make you laugh, draw a tear or two, and keep you guessing. The book is now available on Amazon.com at here!! Check out the great reviews on Amazon! This is Karen’s first novel. She is a friend of my family for many years. You won’t be disappointed! GOOD MORNING TO YOU, HAPPY BIRTHDAY TO YOU! Did you know that the “Happy Birthday Song” started out as “Good Morning to You”? Did you know this song was created by two sisters from Louisville, Kentucky? Good morning to you, Good morning to you, Good morning, dear children, Good Morning to all. Nobody really knows who changed the words to Happy Birthday to You and put them to the melody of Good Morning to You but the song was being used in all kinds of musicals, on radio, in telegrams and for birthday celebrations. The Hills were not getting any compensation for the use of the song. Jessica Hill, another sister, who had copyrighted the song on behalf of her sisters filed suit and secured copyrights to Happy Birthday To You. 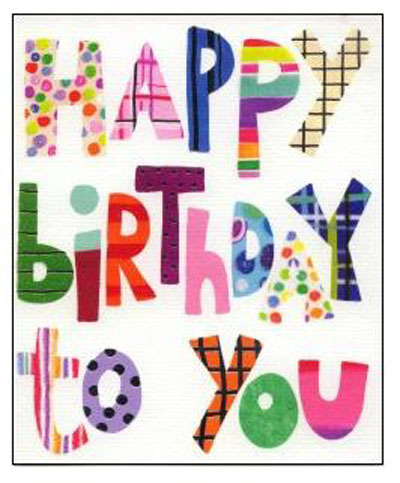 The Clayton Summy Company, working with Jessica Hill, published and copyrighted “Happy Birthday” in 1935. This copyright will not expire until 2030 but the Company was bought by a New York accountant named John Sengstack in the 1930s and renamed Birch Tree Ltd. Warner Chappell, purchased Birch Tree in 1998 and is now a part of the giant AOL Time Warner conglomerate. The song brings in about $2 million a year and the Hill Foundation’s share goes to charity or to a nephew of Patty and Mildred. So, to all my lovely blogging friends out there the next time you sing Happy Birthday to a friend or relative just remember this little ditty written by two Southern sisters from Kentucky and sung hundreds of millions of times each year is the most recognized song in the English language and has been translated into at least 18 different languages. I love ice cream! 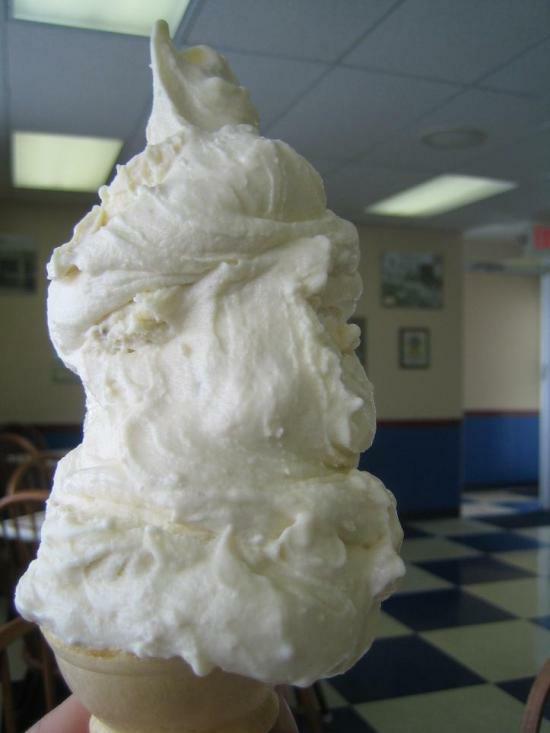 Remember that little jingle that went: I scream, you scream, we all scream for ice cream? I could eat it three times a day and never get tired of it. I like it any way you can get it. Sundaes, cones, shakes, or just in a bowl. I can’t say enough about ice cream. I know where all the cheap ice cream places are. McDonalds has a great cone for just forty-nine cents and several flavors of sundaes for only $1.00. Arbys has a great milkshake for $1.00. Steak and Shake has its shakes half price during the afternoon. I clip coupons for Kroger ice cream, too! I love Dairy Queen and Baskin Robbins and go there. My mom and dad used to make the best homemade peach and strawberry ice cream. We had one of those old crank ice cream makers and my sister and I could not wait for it to freeze. Are you an ice cream freak like me? I am going to really celebrate this month. How about you? 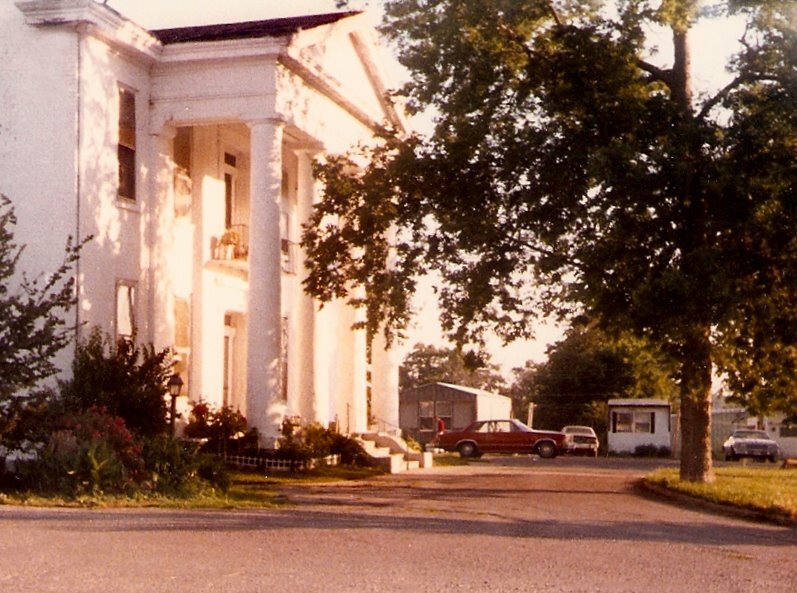 It has been a while since I wrote about a famous person or place in Kentucky. 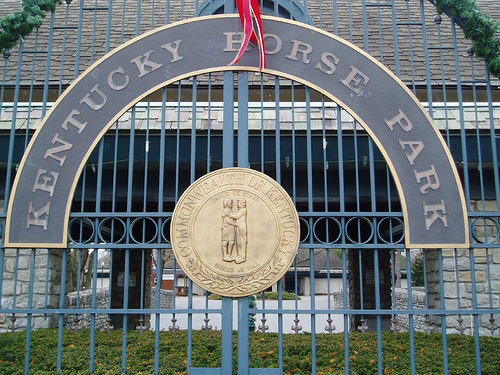 The horse park is a working horse farm and an educational theme park opened in 1978 in Lexington, Kentucky. The equestrian facility is a 1,224-acre park dedicated to “man’s relationship with the horse.” Open to the public, the Park has a twice daily Parade of Breeds, showcasing both common and rare horses from across the globe. The horses are ridden in authentic costume. Each year the park is also host to a number of special events and horse shows. The great racehorse, Man of War, is considered one of the greatest thoroughbred racehorses of all time and is buried at the horse park. Horse sculptures in the Kentucky Horse Park include the Man o’ War statue on a pedestal near the entrance. There is also a life-size statue of the 1973 U.S. Triple Crown winner Secretariat with jockey Ron Turcotte aboard being led by groom, Eddie Sweat. 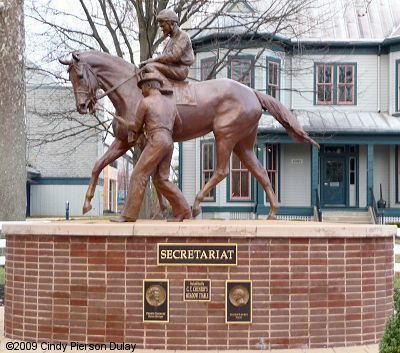 The movie, Secretariat, filmed in Kentucky should be out in October starring Diane Lane and John Malkovich. In September, Kentucky will host the Alltech FEI World Equestrian Games 2010. The Alltech FEI World Equestrian Games represent the largest equine sporting event ever held in the United States. 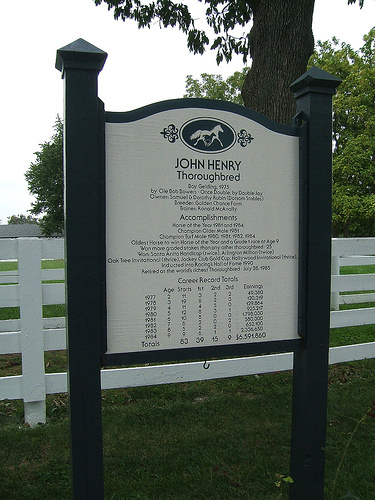 Held at the Kentucky Horse Park from September 25 to October 10, 2010, this will be the first time that the event will be held outside of Europe. The Alltech FEI World Equestrian Games 2010 are comprised of the world championships for eight equestrian sports show jumping, dressage, eventing, driving, endurance, vaulting, reining and para-equestrian. The FEI World Equestrian Games are held every four years, two years prior to the Olympic Games, and are governed by the Fdration Equestre Internationale (FEI). The FEI is the international governing body of equestrian sport recognized by the InternationalOlympic Committee. It is the organization which establishes rules and regulations for the conduct of international equestrian events. Today the FEI has over 130 member countries. We are so proud to host this event. Our hotels and motels are already booked for miles around Lexington, the event city. We even have local people that are staying with relatives and renting out their homes for enormous amounts of money to strangers. This event should help the economy in our state and bring lots of business to restaurants and local merchants as well. We think this is a lovely facility and we are lucky to have it in our area. 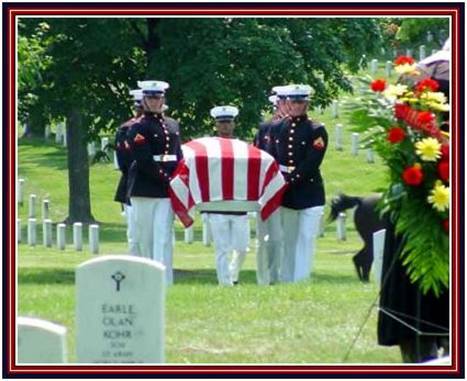 Things to remember on Memorial Day……. proud of our young men and women in the service no matter where they serve. 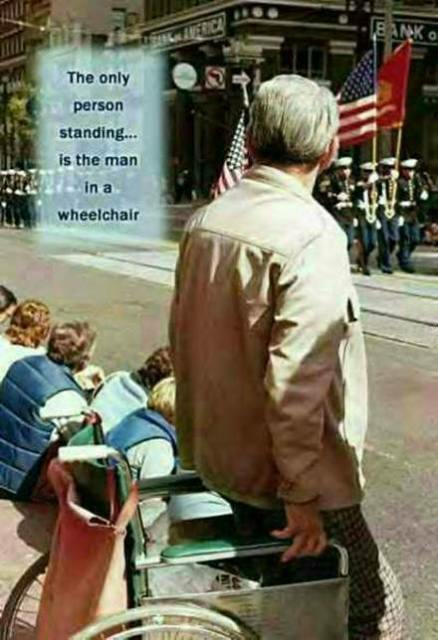 MAKES YOU PROUD TO BE AN AMERICAN!